This is the year of the Sno Wolf: The new, improved Sno Wolf is ready. Be prepared for the snow storms, get yourself a Sno Wolf. A great investment while saving yourself back pain. 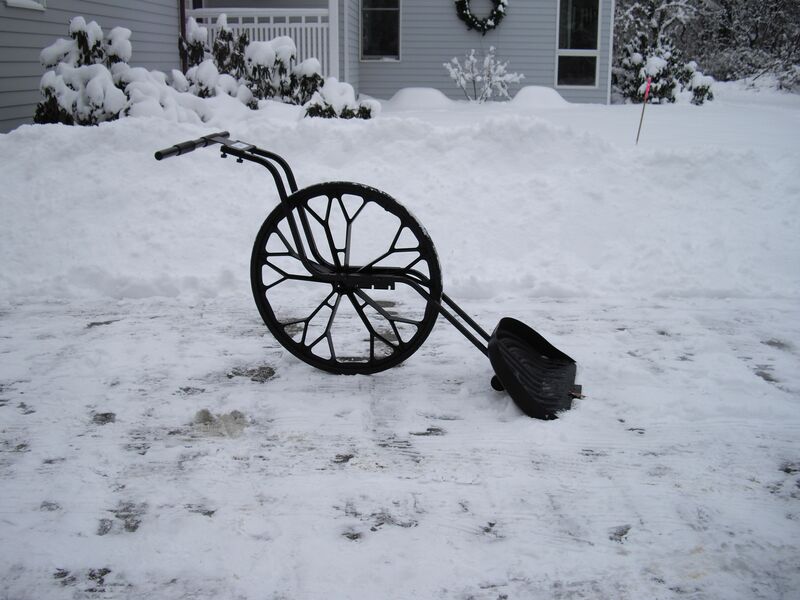 Clears away snow 3x FASTER than a snow shovel and is an economical, eco-friendly alternative to snow plows. : This year’s new and improved Sno Wolf is lighter, easier to assemble, yet retains all the features of the previous Snow Wovel. Our Haaga Sweepers are catching on: We love the Haaga sweepers especially the newest line. 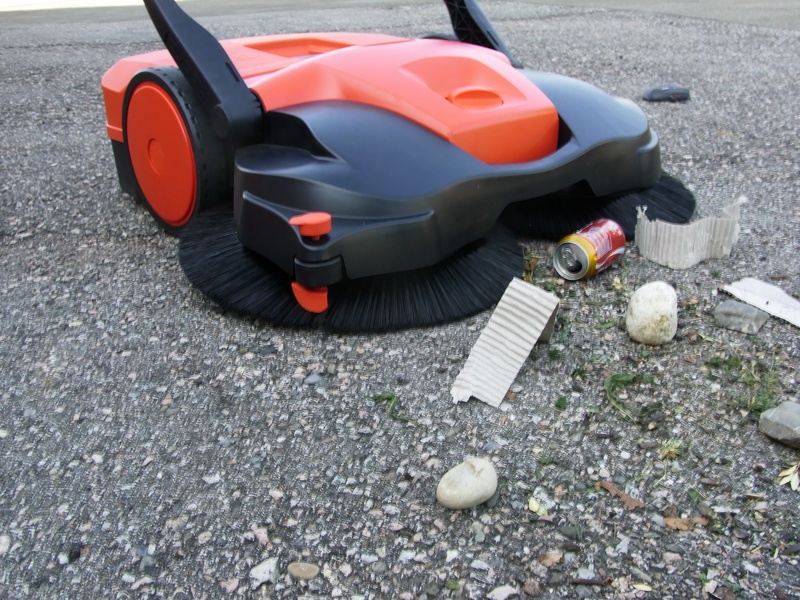 Unlike other sweeping devices Haaga relies on their patented disc brush technology. Here two specially made, opposing circular brushes cut under the waste material and whisk it directly into the waste container. Here, the coarse or fine debris is not “run over” or pushed around in front of the sweeper. Even wet leaves are neatly collected. Twice the sweeping capacity with Haaga’s Turbo sweeping system: In addition to the disc brush system, our 400 and 600 series machines have an additional fine-particle roller brush that is mounted behind the disc system. This allows these machines to effectively sweep twice with one pass. Even the most fine debris is collected. Haaga makes small to large sweepers. And Haaga makes manual and electric sweepers. Find the Haaga for you. 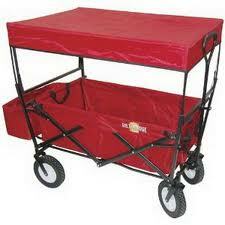 Attached is a great video of our new product – the Folding Utility Wagon. The video says it all. If you have any questions please call 978 884 8156. Enjoy! 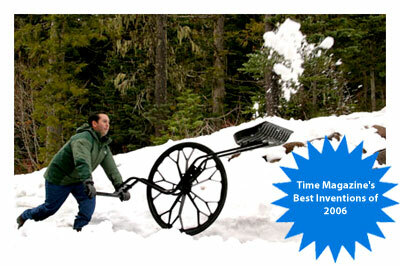 Folding Utility Wagon: People Powered Machines is pleased to announce its new product line – the Folding Utility Wagon. This is a wonderful people powered machine aimed at transporting young children and the gear for your event. Whether you are going shopping, tailgating, to the park, to a cookout, camping or outdoor party, the Folding Wagon is for you. The wagon can carry up to 150 pounds and has a canopy which can be used to protect children from the sun or to keep food cool. Quickly Folds: The Folding Utility Wagon quickly folds up so you can store in the trunk of a car or in a closet. The canopy is supported by telescoping tubes which can collapse into the wagon when not using the canopy. A rear compartment comes with the wagon for extra storage. 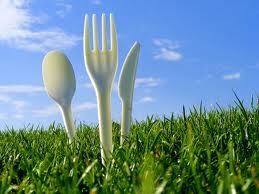 BIODEGRADABLE, COMPOSTABLE PICNIC WARE FOR HAPPY CAMPERS! OK, picnic time is here! And we are sure our customers would never want to fill up landfills with disposable plastic plates! So we have found a solution… help protect the environment by using Vegware, which is biodegradable and ranges from cutlery to take out boxes. 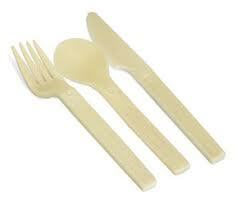 Instead of that nasty bpa plastic lining, Vegware items use eco-friendly corn starch so they can be composted after use. 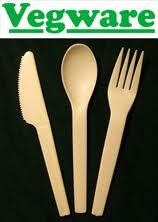 vegware : alternative to plastic plates, forks, knives, spoons, etc.. 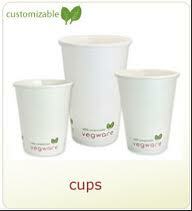 Check out this video to learn more about Vegware and their new compostable lid!